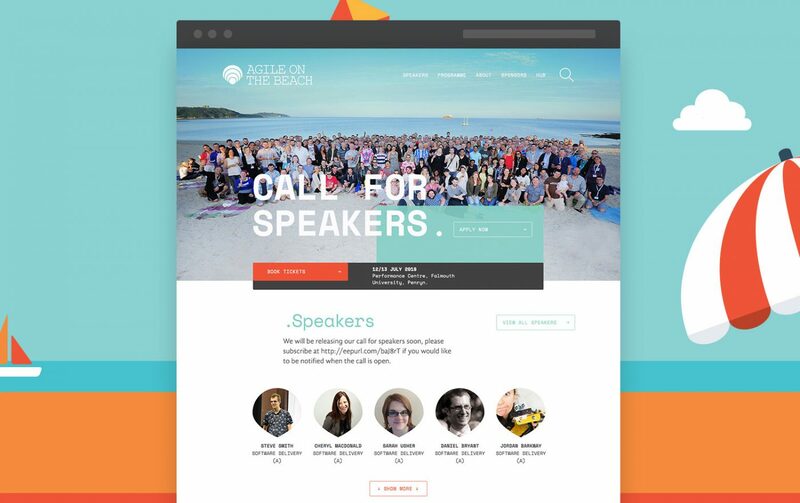 Over the past seven years, Agile on the Beach has built a great following, with many influential speakers and agile practitioners across the world. 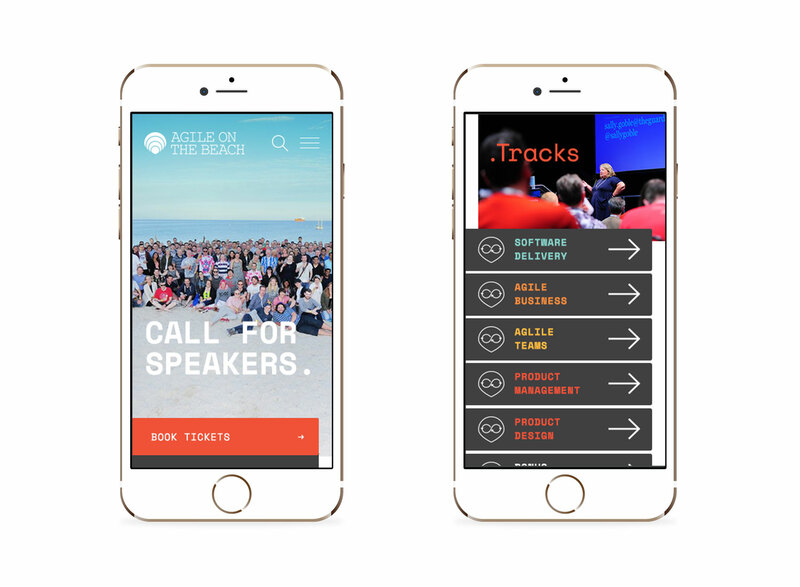 It was important for the conference to have an engaging website that showed value taking the brand to the next level and provide a high-quality platform to promote the speakers, event and sell tickets. 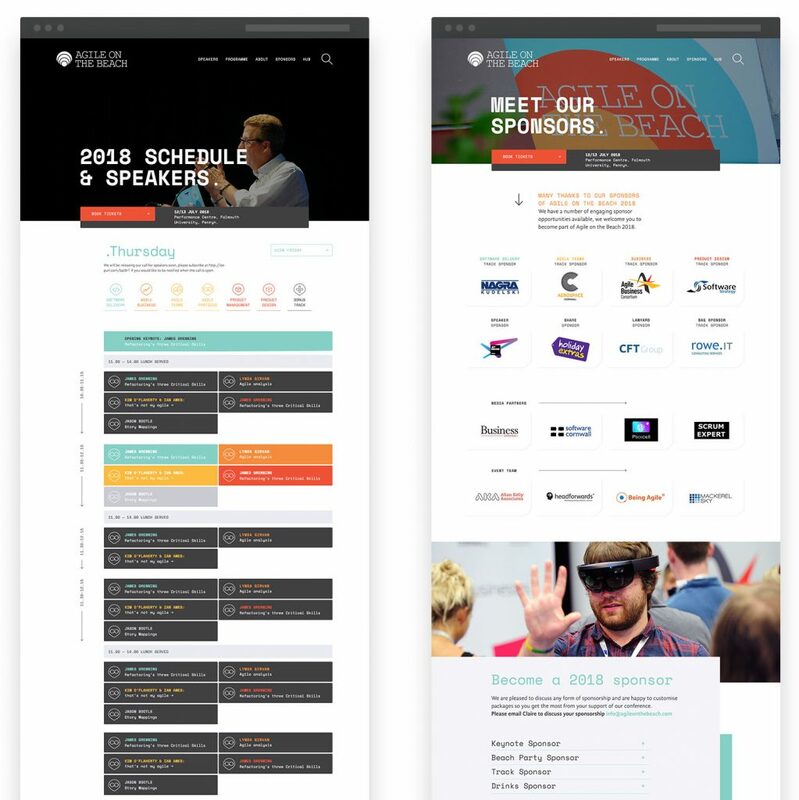 Working with Differnet Digital, who developed a custom backend in WordPress to support the schedule and speakers. The key focus of the website was to create a simple and effective user experience giving the brand added value and importance. We began the project by discussing the content and pages required for the new site and creating a hierarchy of importance. 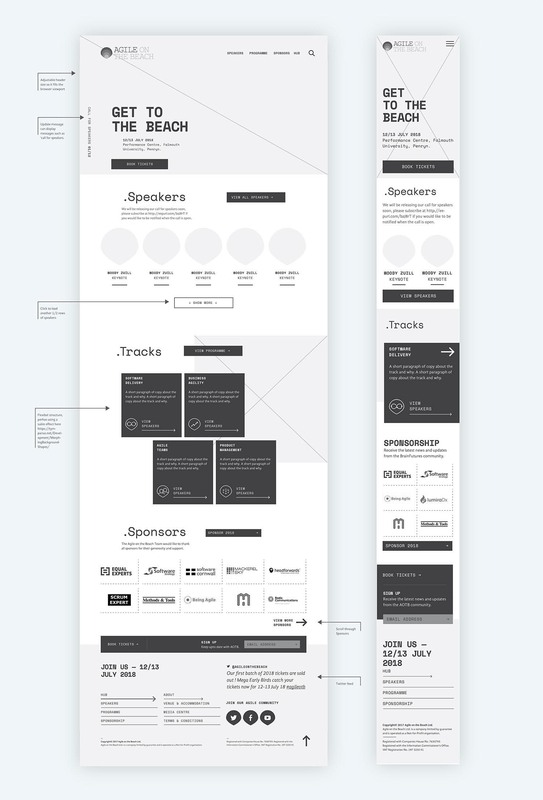 From that point, we devised a sitemap to show key page connections within each section to create a clear user journey. With this in mind, I create a bold and exciting design using the brand colours, icons and images in a newly developed brand style. This really appealed to the coding and software nature of the delegates. 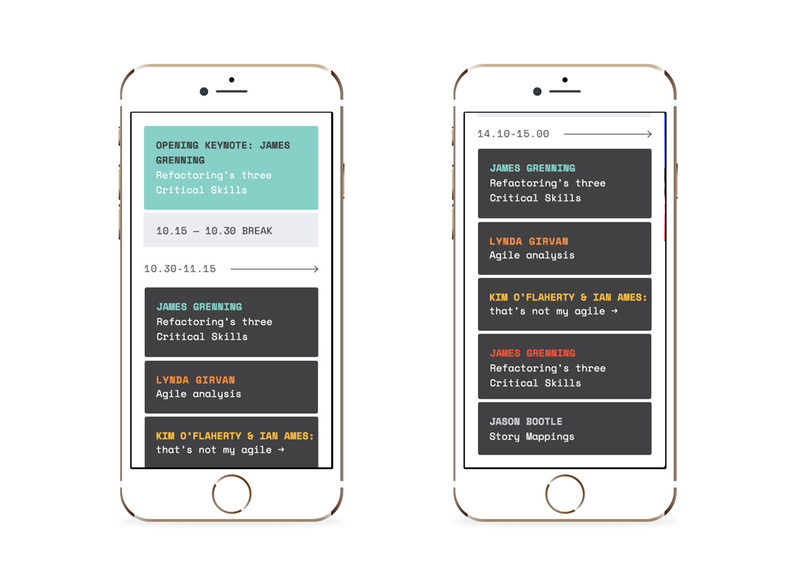 The key design feature to focus on was the two-day schedule of speakers, this section was complex due to the number of tracks but also needed to display in a responsive structure. The new design has seen a 22.7% reduction in the bounce rate from last year, as well as a massive improvement in user retention and page view in comparison with 2017. We have worked with Matt for a number of years he has helped to develop the Agile on the Beach brand. Our new website has seen a huge improvement in it’s user experience and engagement, we have also had a great response from our delegates. Matt is always in tune with our vibe and great to work with.